Better than most places I've seensubmitted by Madelynn G. - Mar 20, 2019 |Recommended: YesWhile I was looking at other apartments, they relied too heavily on the model apartments to get people to move in. I think that 42 North was closer to the reality of living here. response from property - Sep 26, 2018 Thank you, Niepce! We are so glad you enjoyed your experience at 42 North, and hope that you return if you ever need housing in the area again! Comfortable and safesubmitted by Isha T. - Aug 11, 2018 |Recommended: YesThe community is very nice with helpful office staff. Easy maintenance, comforted living, all the facilities are provided, affordable, best community on 42nd street. Great student livingsubmitted by Daveyah D. - May 25, 2018 |Recommended: YesHave stayed for a year and I enjoy the staff and the new updated kitchen and bathrooms Will be staying for another leasing term. Nice and safesubmitted by Emanuelle D. - May 21, 2018 |Recommended: YesI enjoy it, the maintenance staff tends to compete work in a timely manner and the office staff always tends to help if there is an issue. response from property - May 17, 2018 Thank you for the review Angkana! We hope that your experience at 42 North has been a great one! Please let us know if you need anything! Property is clean, neat and opened spacedsubmitted by Jonathan R. - May 02, 2018 |Recommended: Yesi would tell them that the overall experience living here is average. The apartments are nice especially with the new additions of the vanity and kitchen. I believe the rooms should be upgrade, new carpet, new mirrors etc. I also enjoy the landscape of the units and how the property looks from the outside. Cons would be getting fined for everything and never receiving a warning first, also another con would be talking to management and getting a reply from them. response from property - May 17, 2018 Thank you for the review Jonathan! 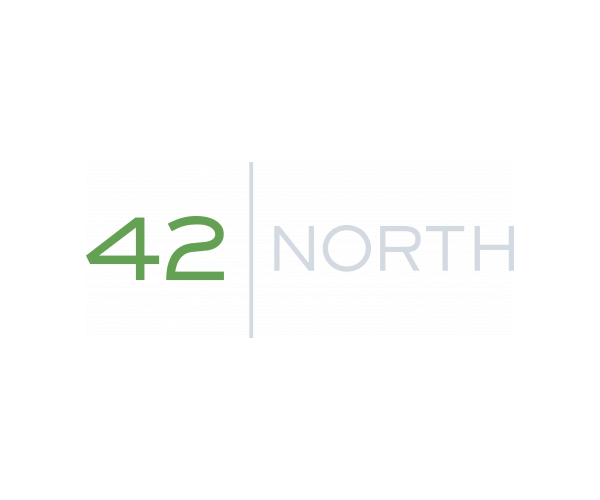 We hope that your experience at 42 North has been a great one! Please let us know if you need anything! It is a good place to staysubmitted by Amelia C. - Apr 02, 2018 |Recommended: YesIt has all the minimum things you will need. The staff are very friendly and willing to help you with anything. Very well kept propertysubmitted by Jose M. - Apr 01, 2018 |Recommended: YesNice place to live. Good property, decent units, close to campus. Overall a good place to livesubmitted by Lesa D. - Mar 31, 2018 |Recommended: YesOverall 42 north is pretty nice. If you and your roommates cook, you may find the kitchen to be a bit small, storage space fills up fast with 4 people cooking their own meals and counter space is limited. The rooms are good and the staff are all friendly and helpful. response from property - Mar 30, 2018 Thank you for your review! We are so happy to hear you are enjoying your stay at 42 North. Let us know if there is anything we can do to make your time here even better! Nice and convenient but needs to be kept up withsubmitted by Almendra K. - Mar 27, 2018 |Recommended: Yes42 north is a nice place to live, the layouts of the apartment I live in a 3x3 are nice and spacious. Work orders get done in a timely manner but when something needs to be fixed, put in a request right away. The office staff and maintenance staff are always polite and do what they can to help any situation. response from property - Mar 30, 2018 Thanks for your review, Almendra! We appreciate your feednback and hope that your stay at 42 North is as enjoyable as possible. Feel free to stop by the front office if there is anything else we can do to help you enjoy your stay more! We are pet friendly. Please contact the office for details on age, weight and breed requirements. 42 North is a smoke-free community. Smoking/ Vaping is not allowed anywhere on site.